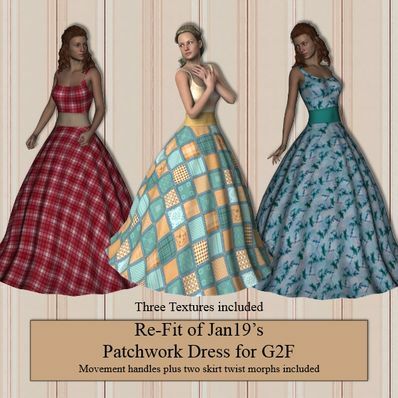 Jan has given me permission to share this refit for Genesis 2 Female of her Patchwork Dress for Dawn. There are movement handles in the skirt and two skirt twist morphs in the Parameters tab under Actor. Thank you so much for the this wonderful refit. You are the best.